How can Staffbooks benefit your business? To get a quick overview of what StaffBooks does and help you decide if it could be a match for your requirements then watch the 1 minute explainer video. Build custom forms and distribute them through the web. Quickly build a talent pool to choose from and drive recruitment through your own website, Facebook and other online portals. Create your own custom induction process and sync to your existing HRIS or Payroll system in just a few clicks. Save your team countless hours in double-entry and give your new employees an outstanding first impression. Build customised automation around your staff and client communications. Use powerful search filters to dynamically compile communication via email, SMS & in-APP push notifications. Quickly build rosters and build complex job schedules. Broadcast shift updates on the fly & watch them fill automatically. Keep track of profitability and job expenses as you create your roster. 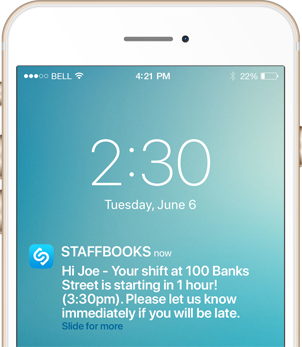 Staff can clock on and clock off from any location via their smartphone. The staff's GPS location is tracked with each clock in and out to help validate where the work was done. Staff can create expenses for any shift they work on with the ability to add a photo of the receipt that is automatically attached to the expense record. Staff, supervisors and clients can access, create, amend and submit timesheets online or via their smartphone that push seamlessly through to payroll and to your accounts applications such as MYOB, Xero and Quickbooks. 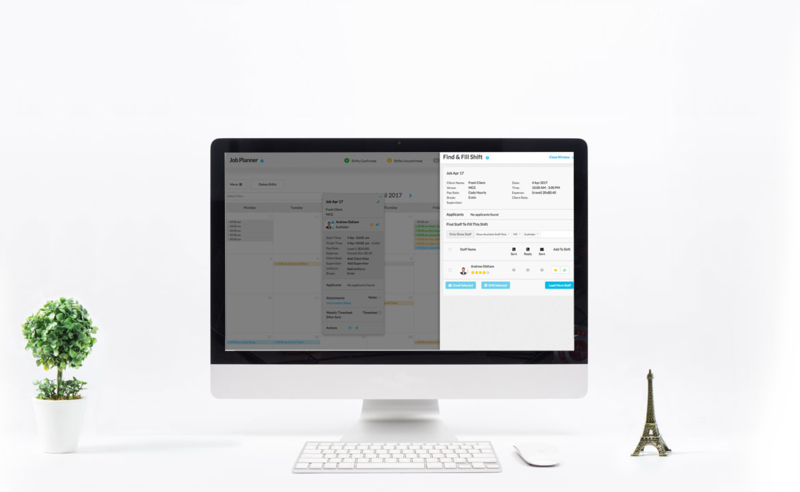 Save time and money automatically syncing TFN and ABN staff details and timesheets data with the most popular cloud based accounting packages. 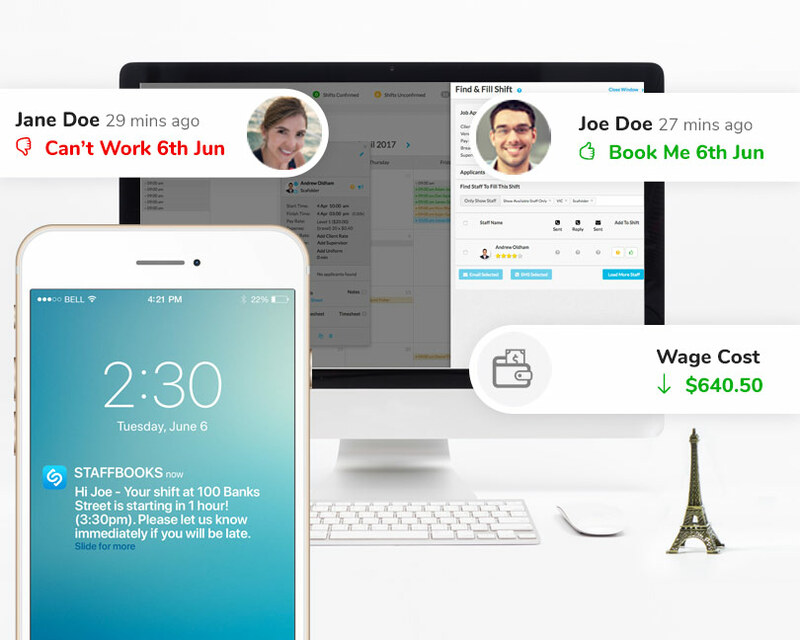 Turn timesheets automatically into client invoices. StaffBooks integrates with many popular applications and comes with an export wizard allowing you to easily configure how you want to get data out of the system. If StaffBooks doesn’t integrate out of the box then we can always customise to suit. StaffBooks has direct API integration with many of the most popular applications. The export wizard allows you to pull data out of StaffBooks and into virtually any other application.